Unlike the timeless techniques used in our hand-crafted furniture, today’s digital devices demand that new standards and technologies be adopted to ensure the best possible experience. And like our furniture, we have taken the time to forgo an easy-to-market, template driven approach in favor of building our new website by hand. Yes, it takes longer, and it costs a bit more, but we know every inch (pixel) of the site has been refined to produce what we think is an elegant and useful tool. 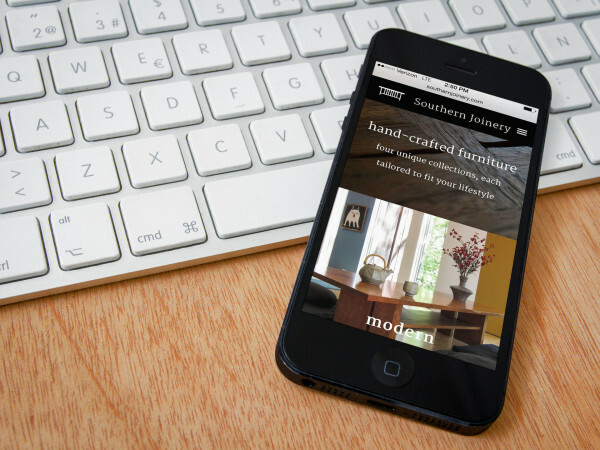 The new web site has a single goal: to create a collaborative environment where Southern Joinery works hand and hand with our clients to create unique pieces of furniture that reflect their tastes and lifestyle. So please, take the time to look around and sign up for our newsletter where we will occasionally update you with new examples of our craftsmanship and, a deeper look into how and why we work using traditional methods and practices. It’s all about using the proper tool for the proper job.